The only problem – how to get in !!! 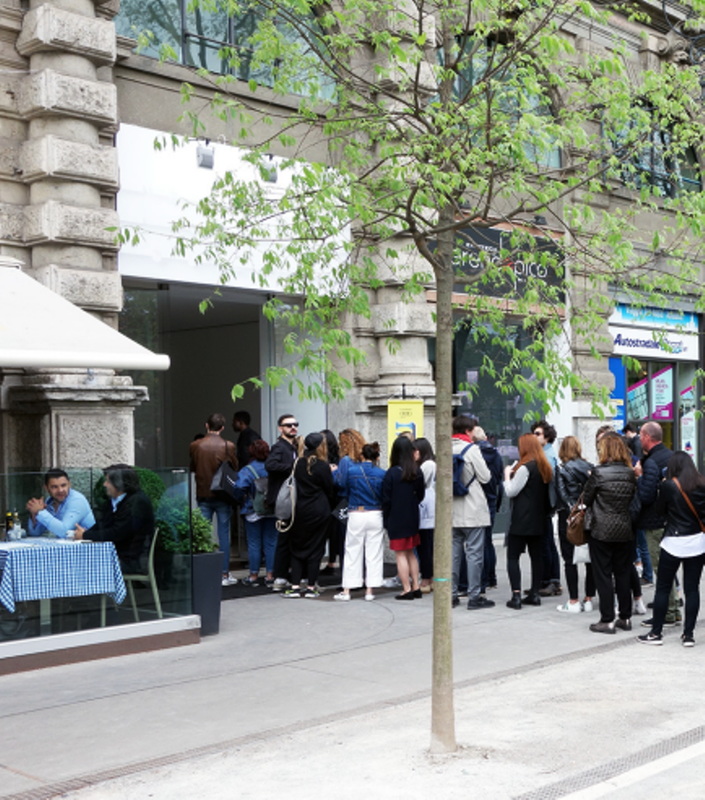 This year it was really the Nendo Milan Design Week, judging from the line that was out of the Jil Sander showroom ( near the castle Sorfazza ). 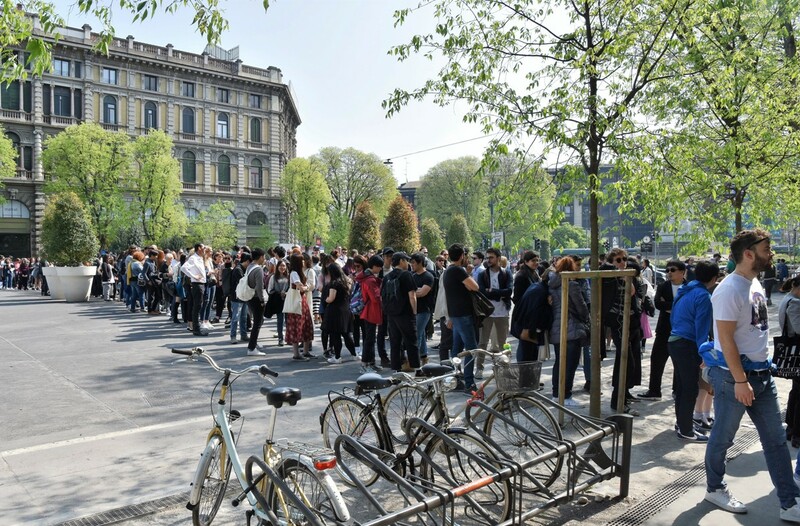 It snaked 4 lines deep the full length of the Piazza. Queues were running at least 2-3 hours to get in. 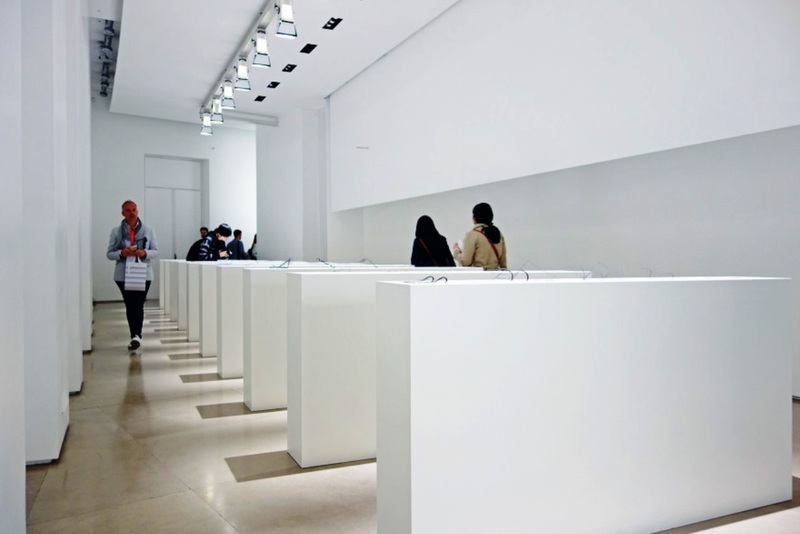 Sato’s delicate twist on conventions and out-of-the-box thinking ran throughout the exhibition. 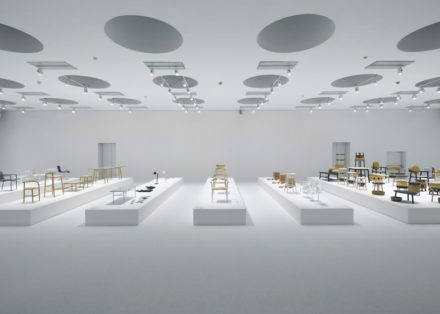 The exhibition captured an aesthetic that Oki Sato of Nendo has created over the years. 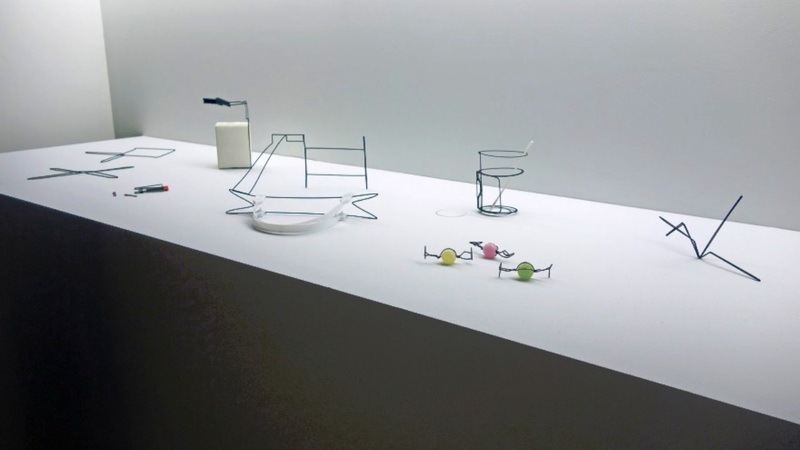 within the minimal and ethereal-lit spaces, the objects including the ‘border table’, ‘traces’ and ‘unprinted material’ explores the existence of various items by manipulating their outlines in various ways but can still be visually recognized by viewers. 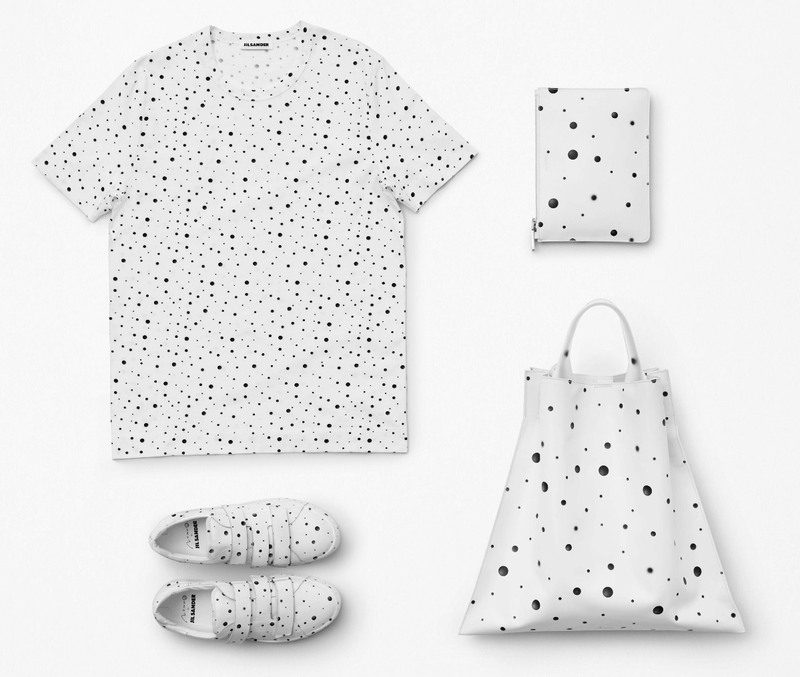 As part of this year’s Milan Design Week, Japanese design outfit Nendo teamed up with Jil Sander to produce a striking exhibition of patterned objects in a monochrome palette. 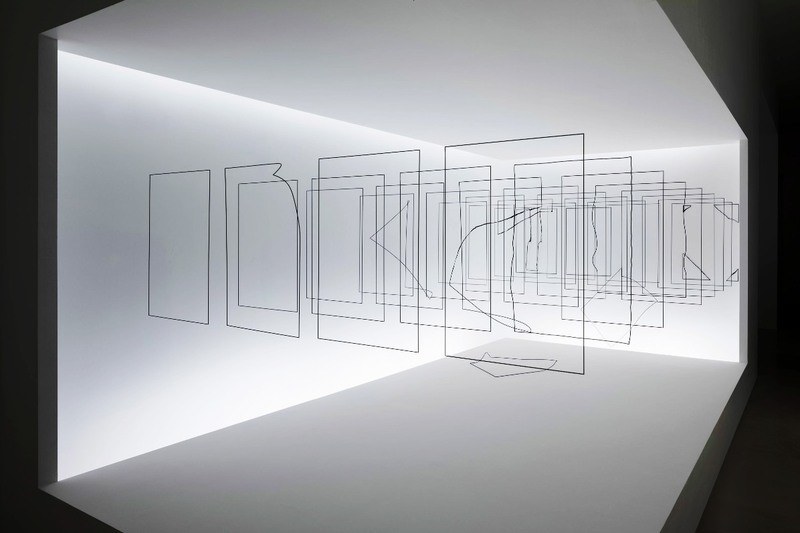 The “Objectextile” exhibition features photographs suspended in perspex boxes to create camouflaged, spotted, pixelated and striped patterns presented in a capsule collection that includes scarves, sneakers, T-shirts and bags. The Japanese studio made and shot a different box for each design, using lighting, shadows and different shooting methods and angles to create patterns that feature contrasting shades of grey. 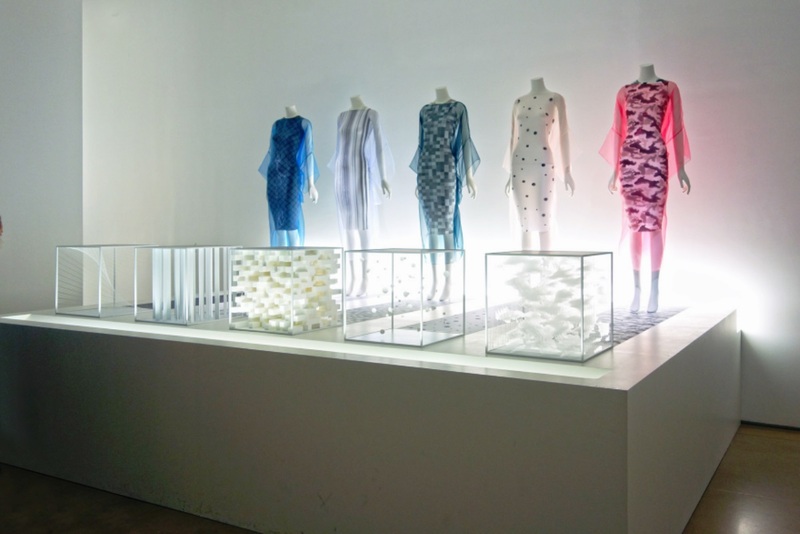 At the invitation of the fashion house, Oki Sato, founder of nendo, created four 3D objects – made from vertical lines, squares and dots – which were photographed and then translated into textile patterns to make five prototype dresses. 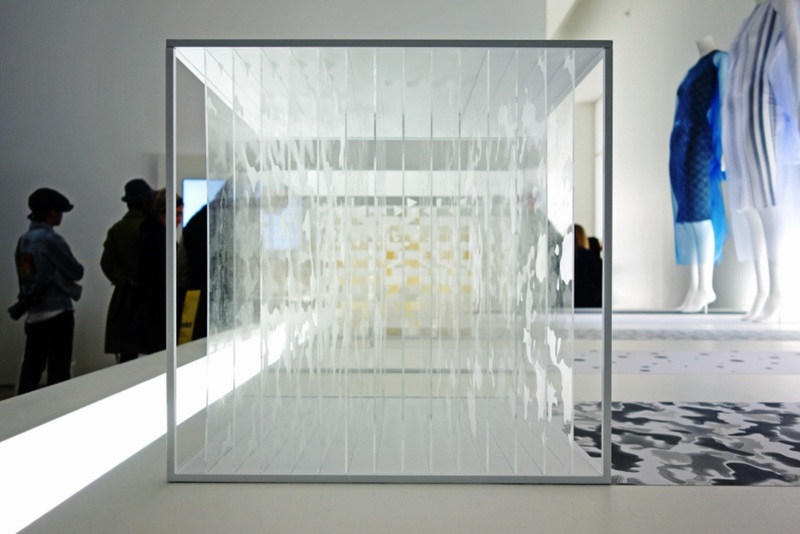 Subsequently, textile patterns were narrowed down to 5 types, which are check patterns made with tightly woven thread, dot patterns expressed by the depth of 82 pieces of floating cones,grid patterns made up of the shadows of an aggregation of cubes,camouflage patterns created by the differences in the frost and clear finishes of transparent acrylic sheeting,and stripe patterns originated by a group of flat shaped pillars. 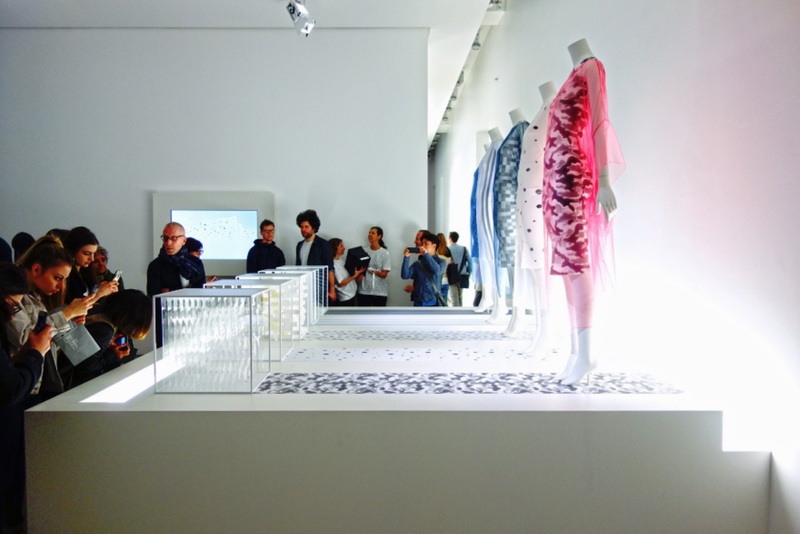 Here the edges of 3D objects are retrieved and turned into fabrics, transformed from solids to 2D print patterns. 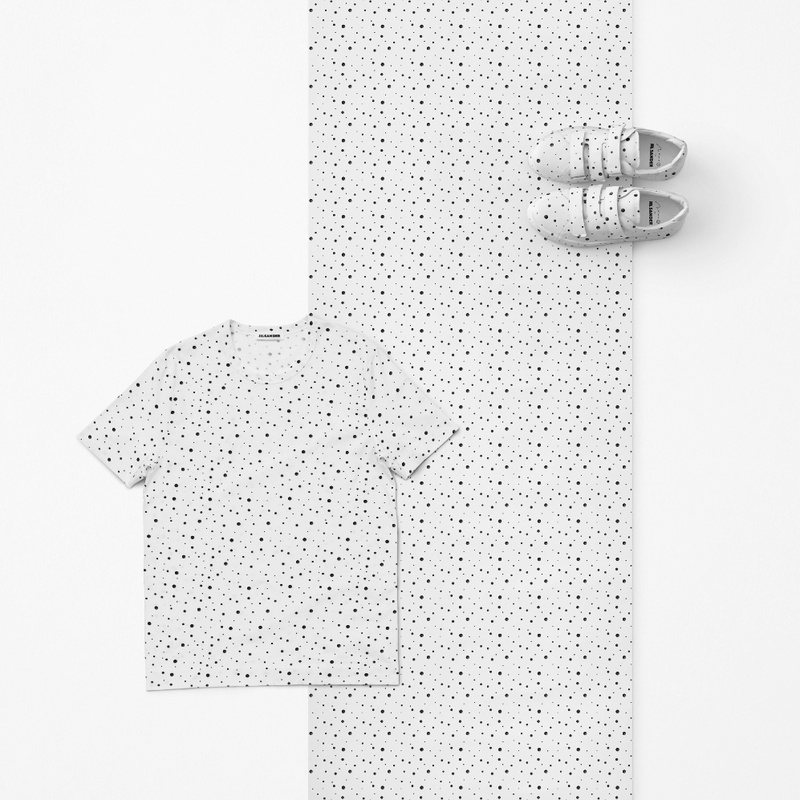 A pixelated pattern was made using a box filled with irregularly arranged smaller cubes, and by tightly stretching thread and photographing it the studio created an intricate grid print. For the striped print, Nendo filled a cube with thin flat columns, arranged in a group, while the dot pattern was created by photographing 82 separate suspended balls. 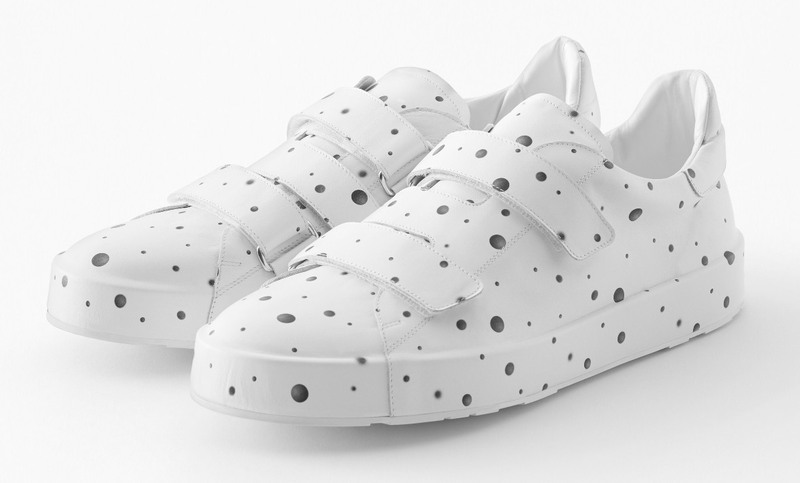 Finally, only the dot pattern was retained and printed onto T-shirts, sneakers, bags and a purse. 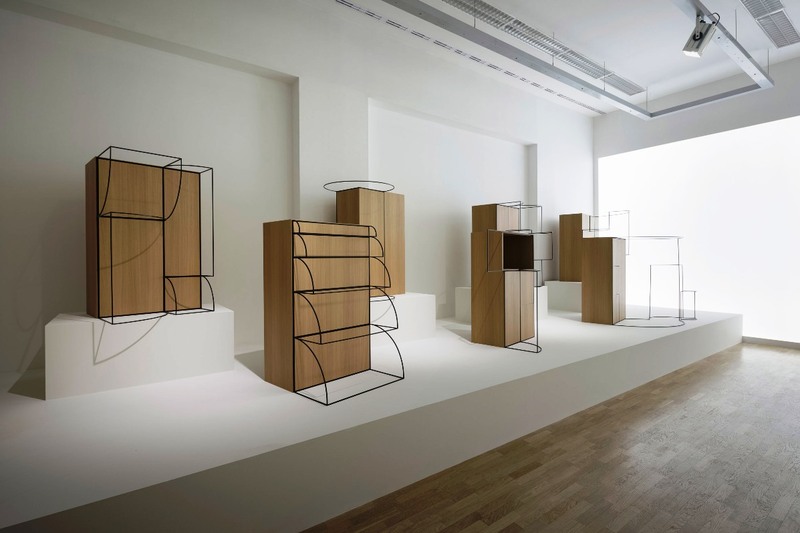 On show at the Jil Sander showroom in the Brera district of Milan, Japanese studio Nendo has designed a series of objects which aim to blur the lines of what can and cannot be perceived as physical objects. 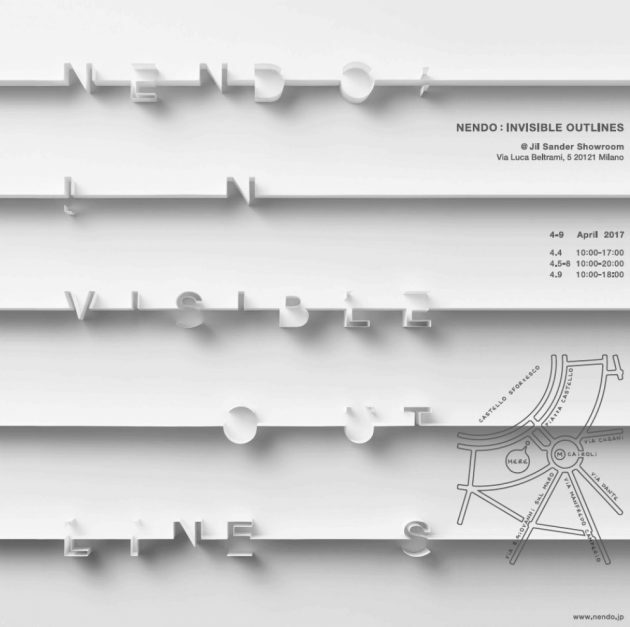 Invisible Outlines explores the ideas of “outlines”, of contours that define the inside and the outside, with a new idea of outlines. 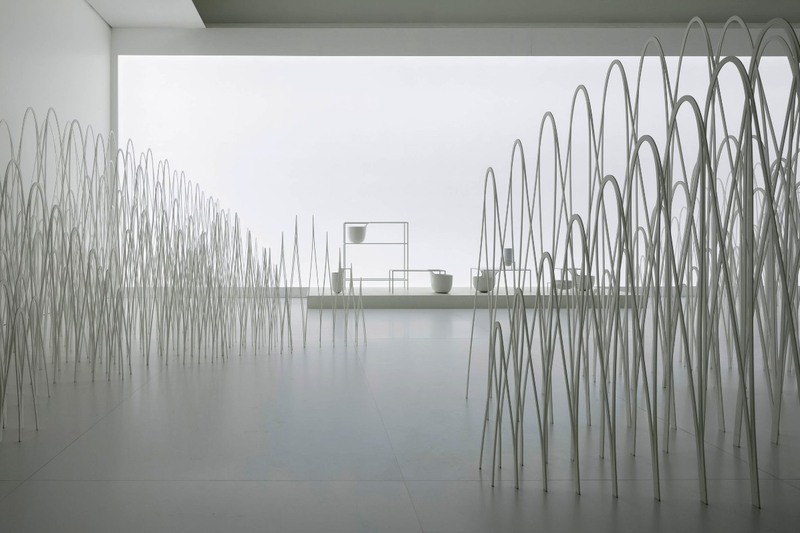 In the spaces of Jil Sander’s showroom Nendo presented a series of installations that subverted our innate tendency to perceive objects by focusing on their outlines. 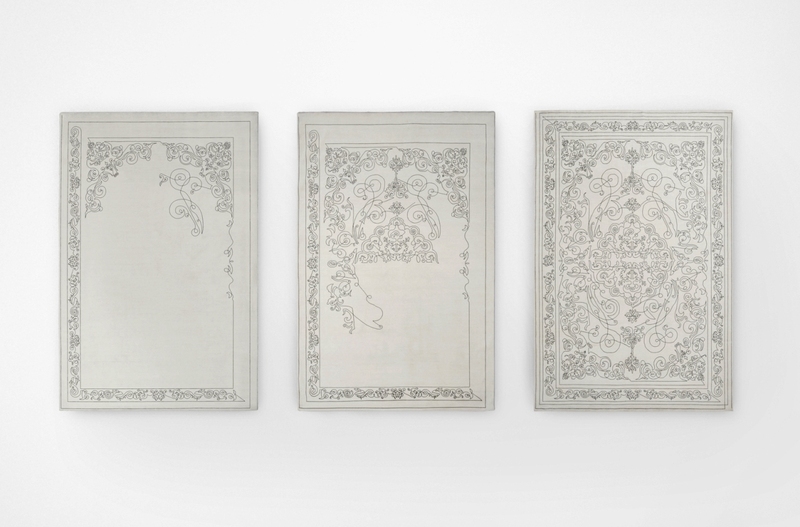 By blurring up the outlines of items in different ways, the viewers explore a different perception of the objects, recreating mentally the invisible outlines. 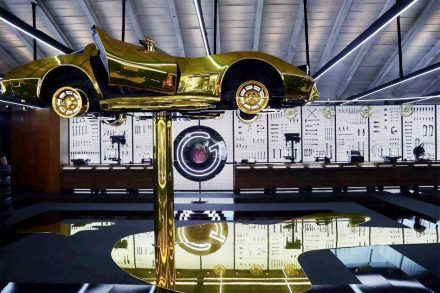 The installation puts together 16 different collections that explore this concept in different ways, in an amazing setting with a bright and minimal design. 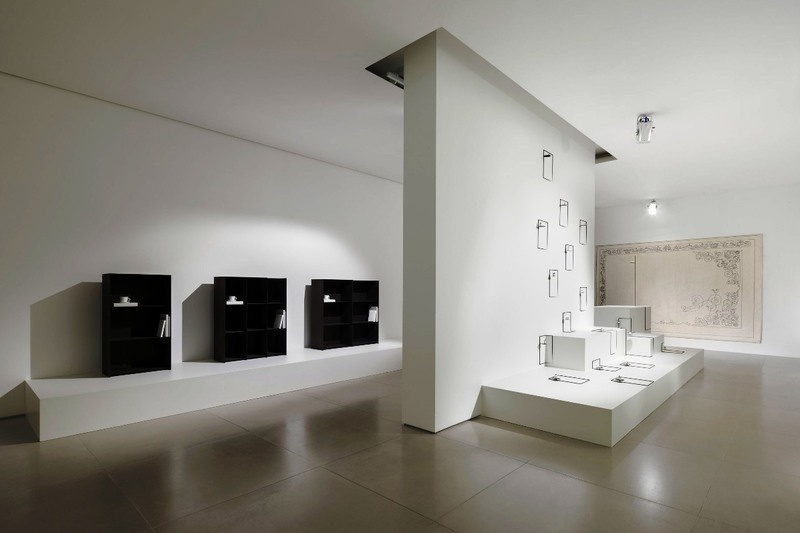 The objects displayed in some of the rooms are stripped of their volume and weight and exist only as airy perimeters. 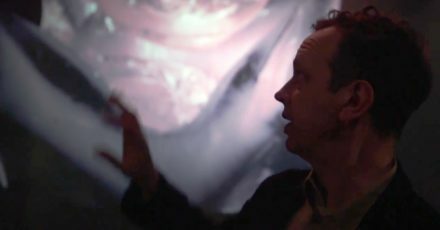 In others, elements invisible to the eye are suggested in the viewer’s brain through delicate prompts. 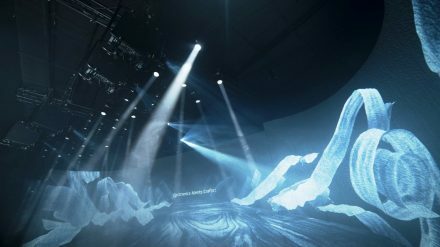 80 Sheets of Mountains is the exhibition’s biggest installation. 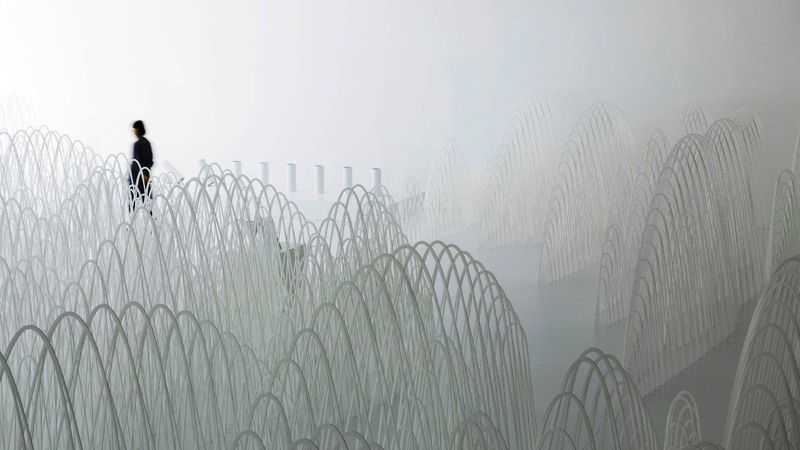 A roomful of mountain-like partitions that was originally shown in Stockholm several years ago. 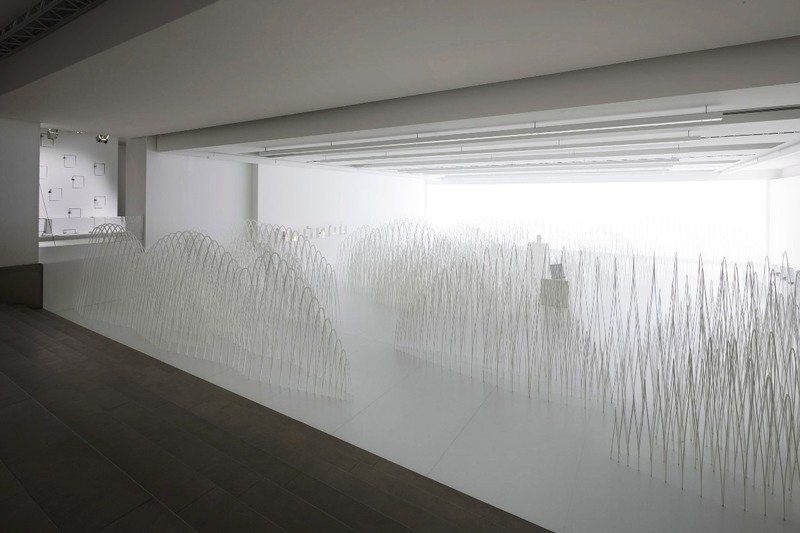 Here Nendo presents a landscape of snow-capped mountain ranges made by stretching thin panels – laser-cut polystyrene sheets 5 cm thick. 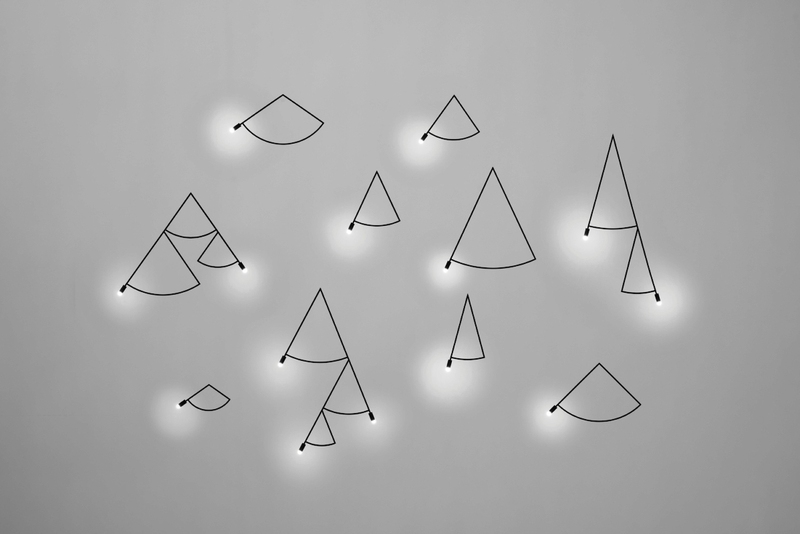 Nendo designed Sawaru to be an interactive lamp that plays with composition and customization. Sawaru consists of two independent cylinders that touch each other in a perpendicular direction. 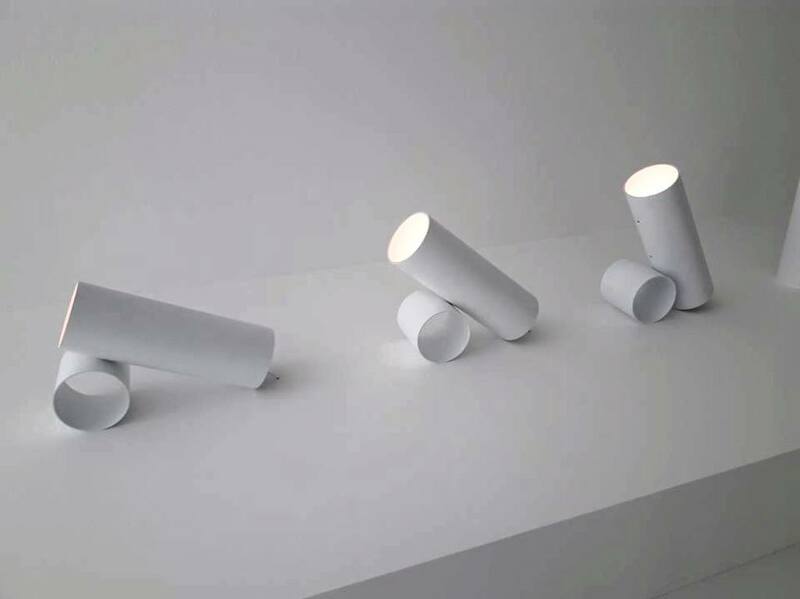 The cylinders in Sawaru play two different roles: one as a light source, while the other acts as a base where the projection angle can be altered into three stages – 25 degrees, 40 degrees and 60 degrees, by inserting the pin in the desired place. 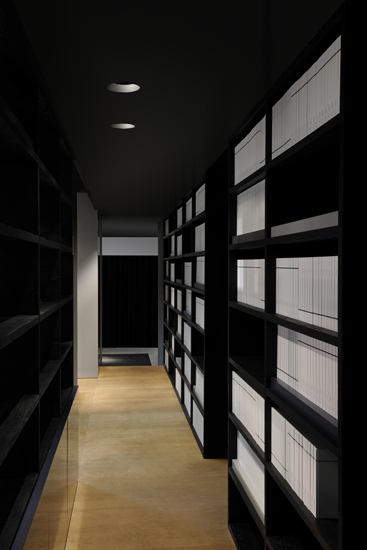 By removing the base the light source can be laid onto the floor to directly illuminate downwards. 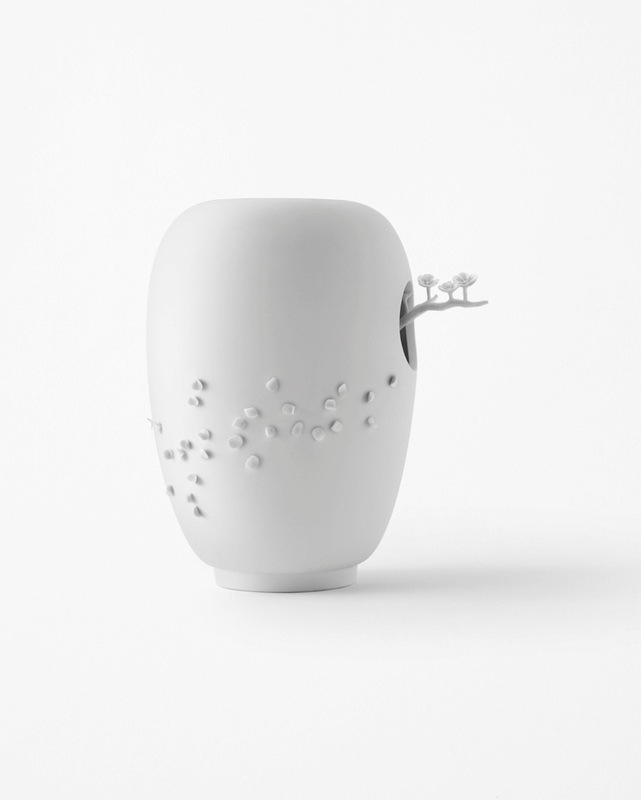 Jellyfish vases is a new piece that seeks to restore the relation between vase and water with coloured outlines. 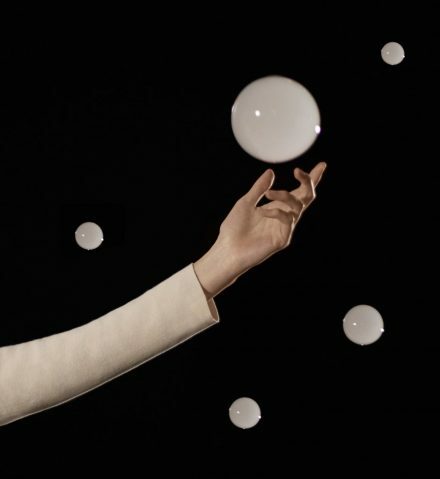 Nendo submerged 30 of its new silicone vases in an aquarium so that they gently move around like jellyfish. The strength and direction of the water’s current will change, so that the vases undulate gently along the bottom of the tank like slowly moving jellyfish. 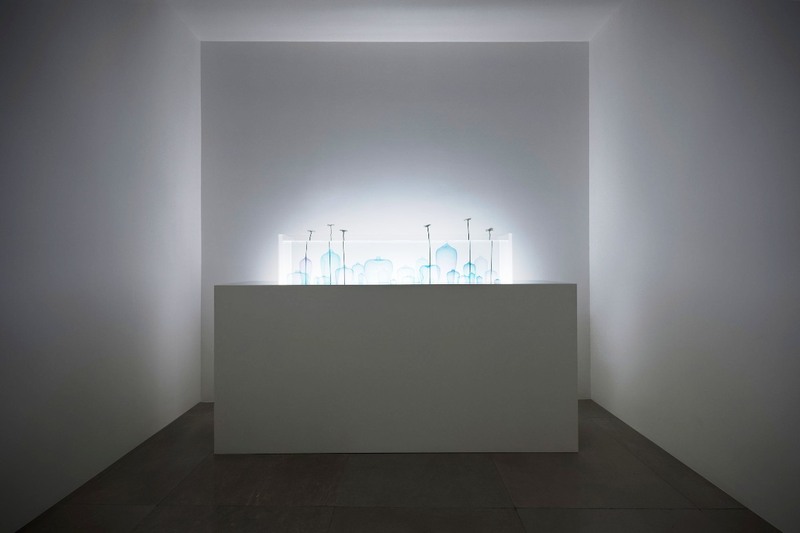 “The design was to redefine the conventional roles of flower, water and vase by making the water inconspicuous, with an ensemble of both flowers and vases floating inside the filled water, as opposed to simply showing off flowers in a water-filled vase,” said Nendo. Vases that float like jellyfish in the water. 30 vases of various sizes are placed in a 1800 mm aquarium filled with water and the strength and direction of the water’s current is carefully adjusted so that they undulate moderately. 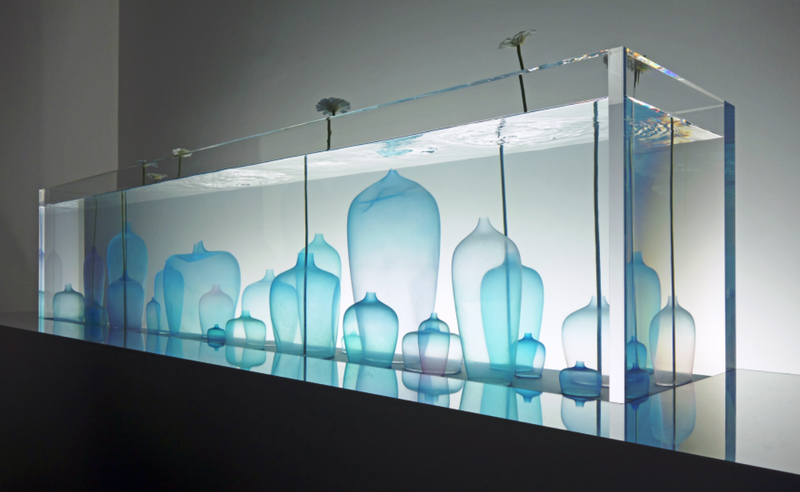 The vases are made out of ultrathin transparent silicon that has been dyed twice to give the impression that what is floating in the water is but a gradated silhouette of colours. A sense of inversion continues in the turquoise and blue silicone Jellyfish vases installed in a fish tank. 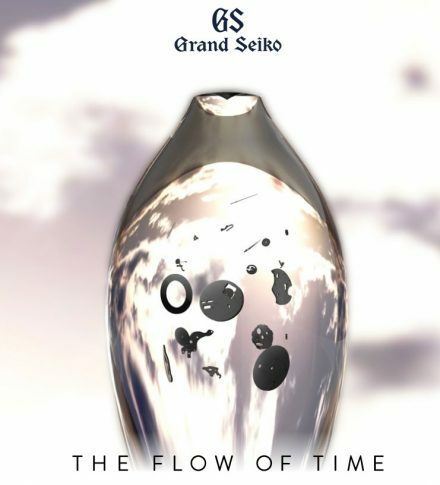 “Normally, we put water into a vase but here the vases are in the water,” said Sato. 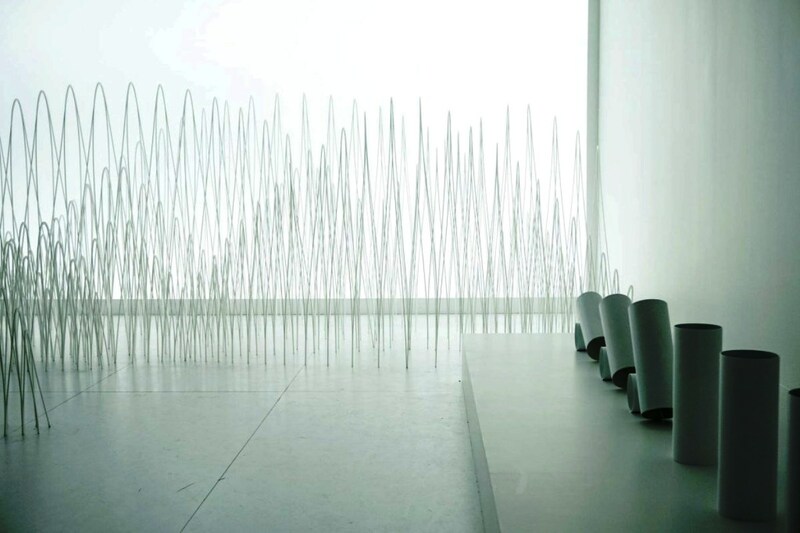 The installation Un-printed material also adopts an unusual approach to paper. 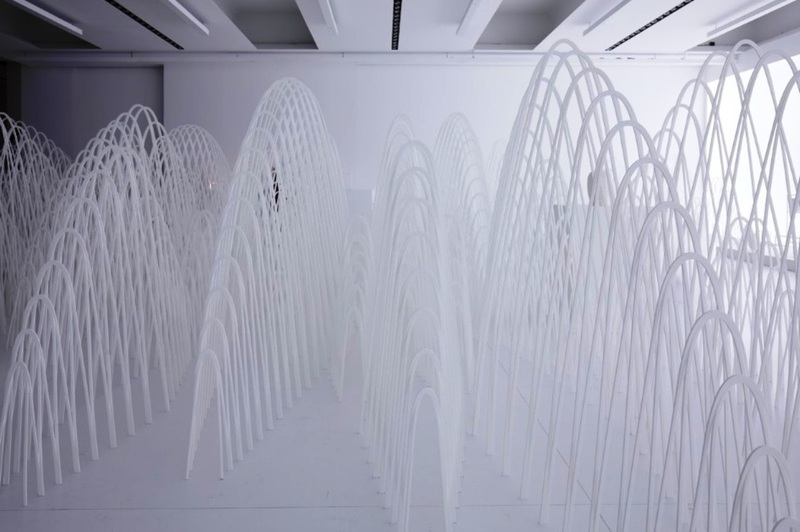 Developed in the absence of the material, it uses a 3D printer to recreate only the edges of the material. 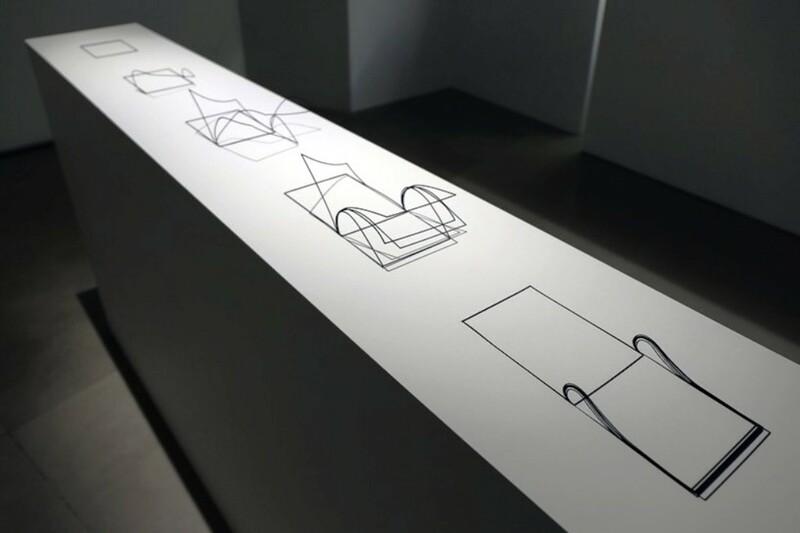 The ‘trace’ lighting gave embodiment to the lines made by a hanging light bulb swinging left and right or to a beam of light from a projection. 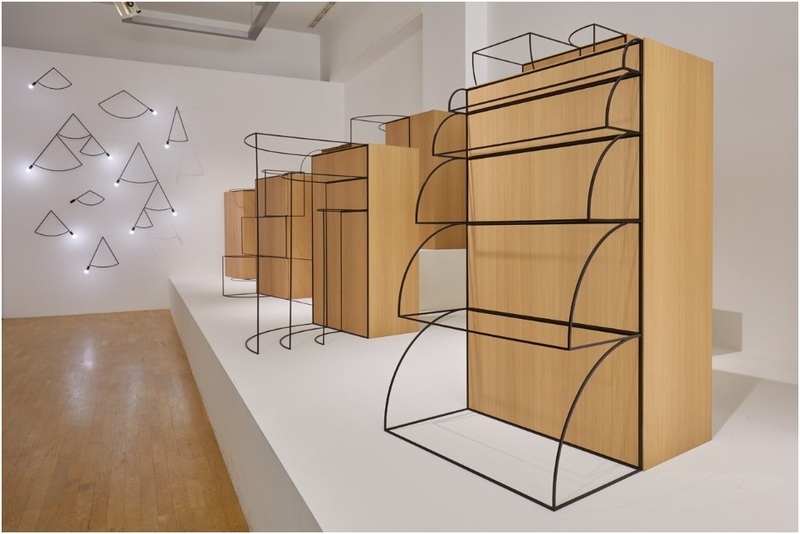 The Trace collection defines the concept for a series of containers and shelving that designs the invisible outlines that doors and drawers describe and leave behind them. 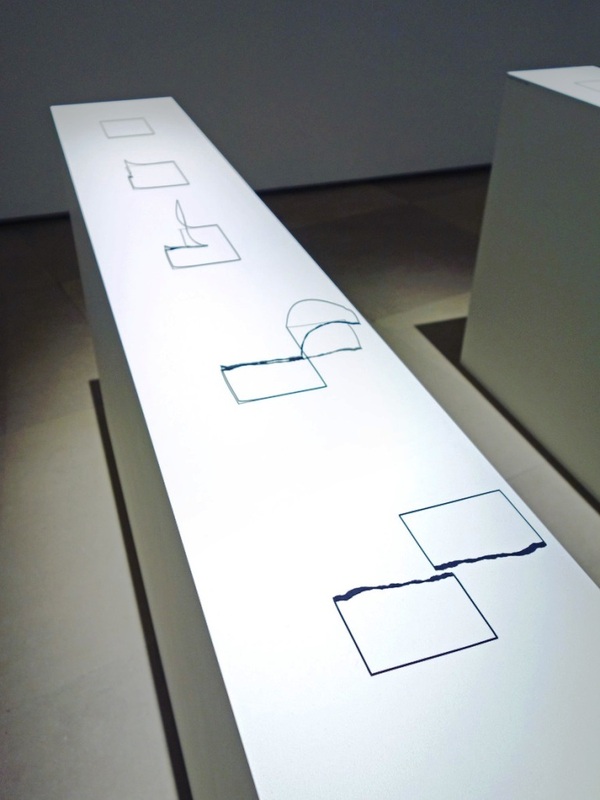 Trace even incorporates the visualised openings of doors into the pieces. 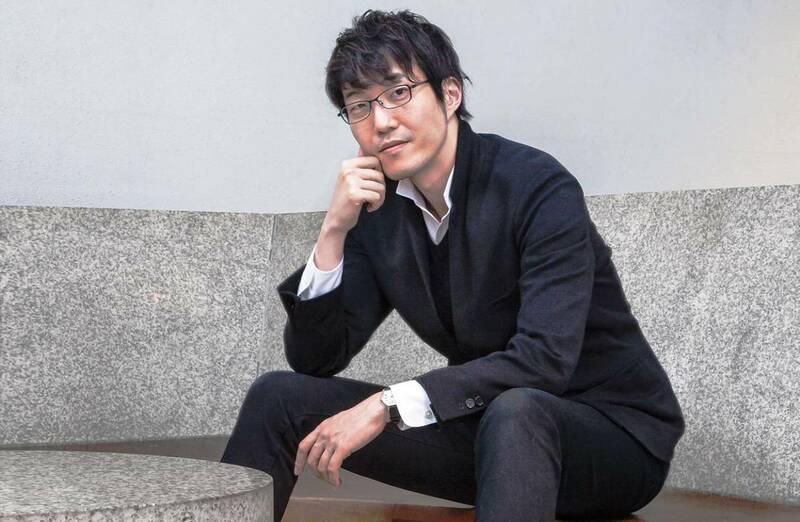 “We often think about the space occupied by a door opening and don’t put anything there, so here I brought that space into the design,” said Sato. 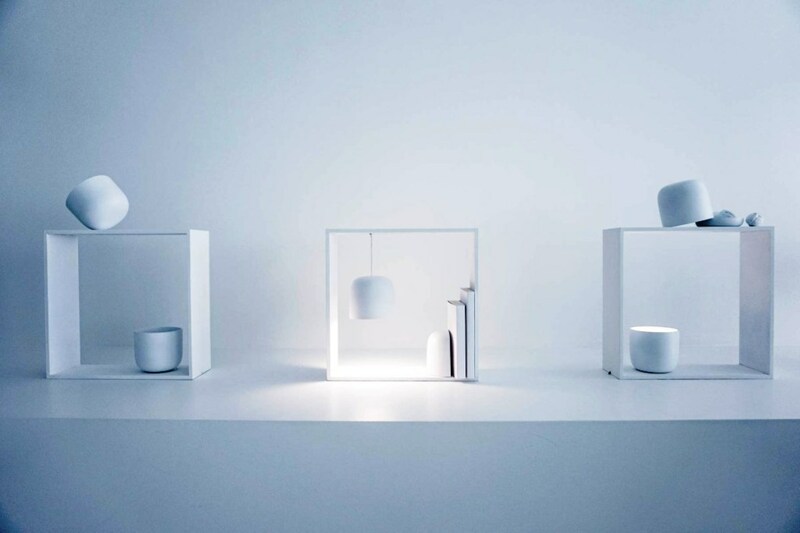 Gaku is a box used together with lamps and other objects which gives a feeling of something in between accessories and furniture. 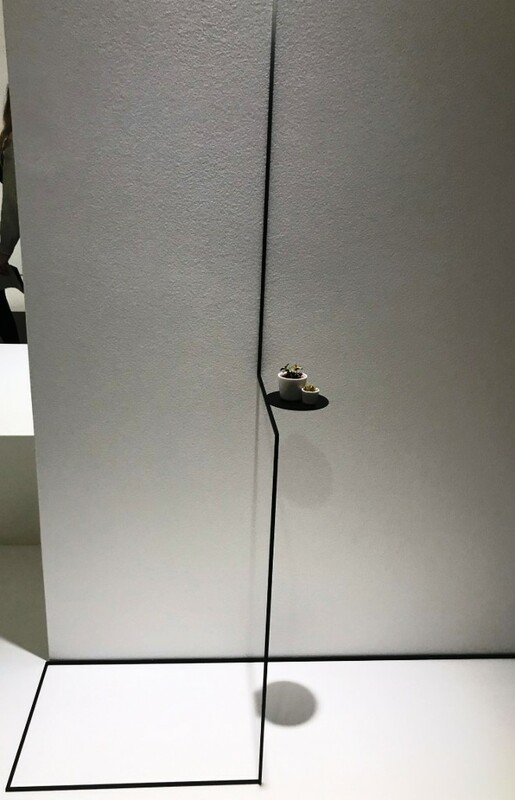 An adjustable-height pending lamp hangs down while a second piece features non-contact charging to power a matching spot or luminescent lamp. The lamp is simply left on the charging dock, and then moved around freely when lighting is needed elsewhere. The directional lamp features a magnet that allows it to be placed at an angle, making it easy to adjust the direction of spot to be lighted. Bowls, vases, a tray, a mirror, bookends and other accessories are held in place by magnets. 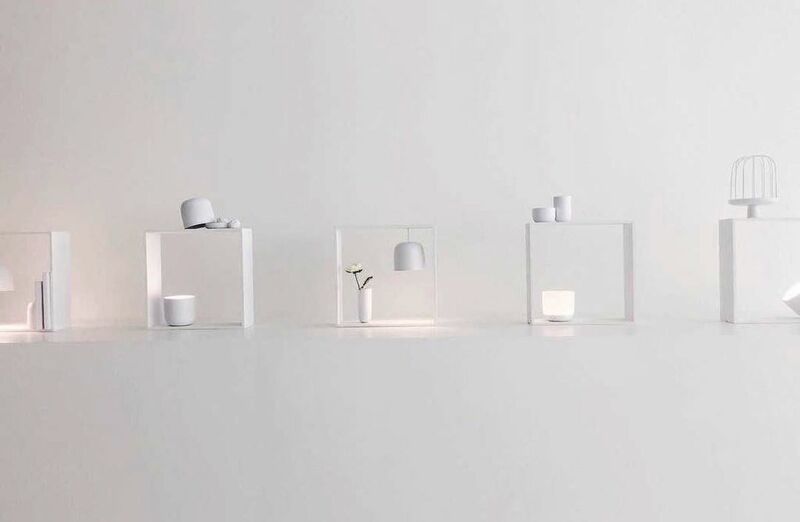 The Gaku lamps are arranged like small diorama-like scenes within framed boxes and aim “to explore something that is between lighting and interior objects, or furniture”. 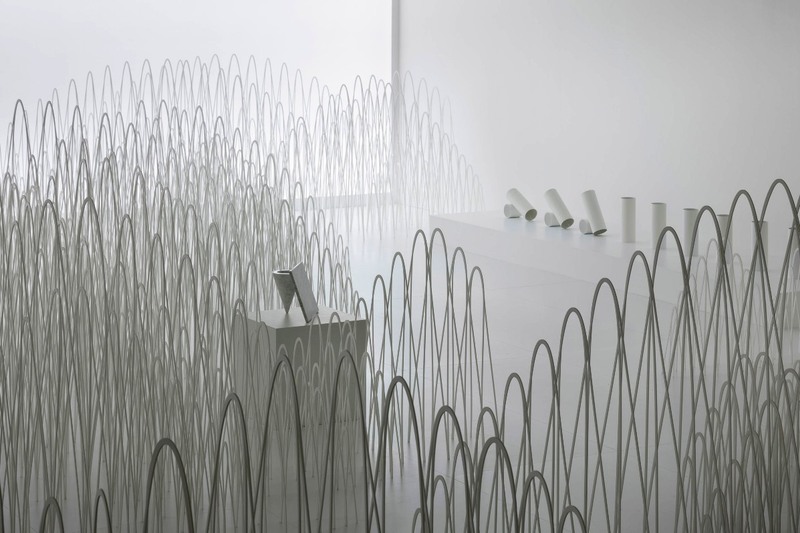 Immersed in the mountainous installation was Nendo’s ‘flow’ collection for Alias which marries furniture with objects. 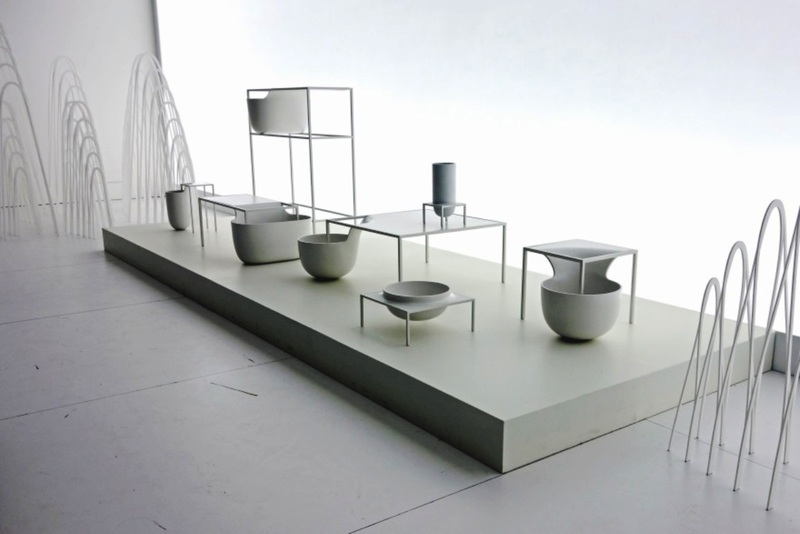 Variously shaped bowls and vases extended from tables and bookcases as if they were joined by an umbilical cord. The same poetic sensibility is seen in the white ‘sakura’ vase for La Manufacture de Sèvres, which has a cherry blossom branch peeking out from an opening and petals decorating the surface. 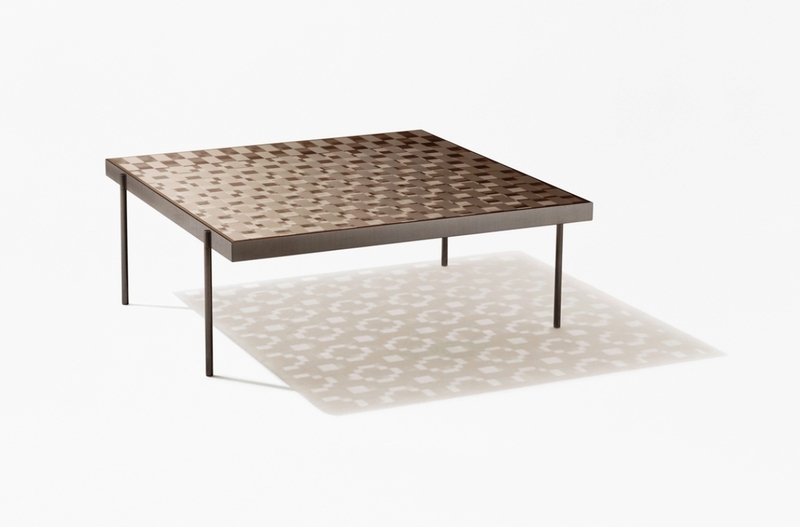 Border table evolves starting from the surrounding space into a collection of tables. It emphasises elements of interiors usually seen as nuisances, like the corners of a room or protruding pillars, and uses them as structural elements. This idea of line-drawing was developed, too, in the three ‘one-stroke’ carpets for Nodus, which were hand-woven by craftsmen in the Rajasthan region of northern India. Whilst taking aesthetic inspiration from Oriental carpets, Sato drew each of the carpets in a single stroke. 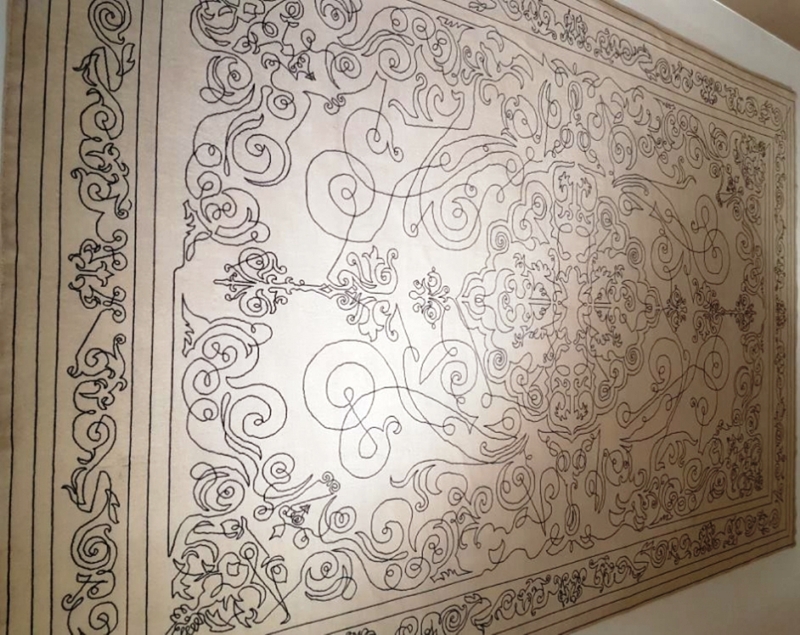 In order to convey the drawing process, one carpet has one quarter of the pattern drawn, another has half of it drawn and in the third the drawing is complete. 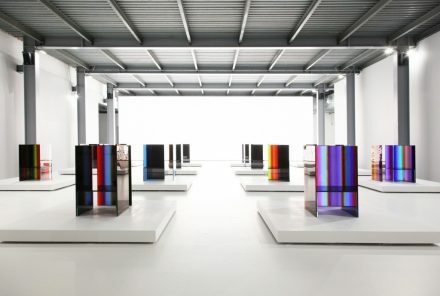 Also on view was the ‘fragment table’ for Glas Italia, which is made of two layers of transparent glass. 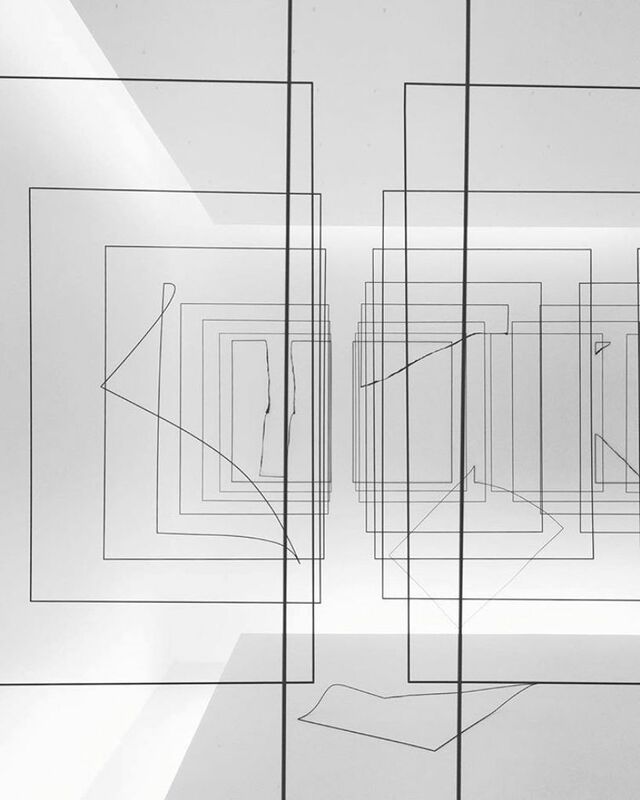 The first consists of small rectangular mirrors, while the second shows the pattern rotated 90 degrees; geometric shadows of the changing reflections caused by this interplay dance on the ground. 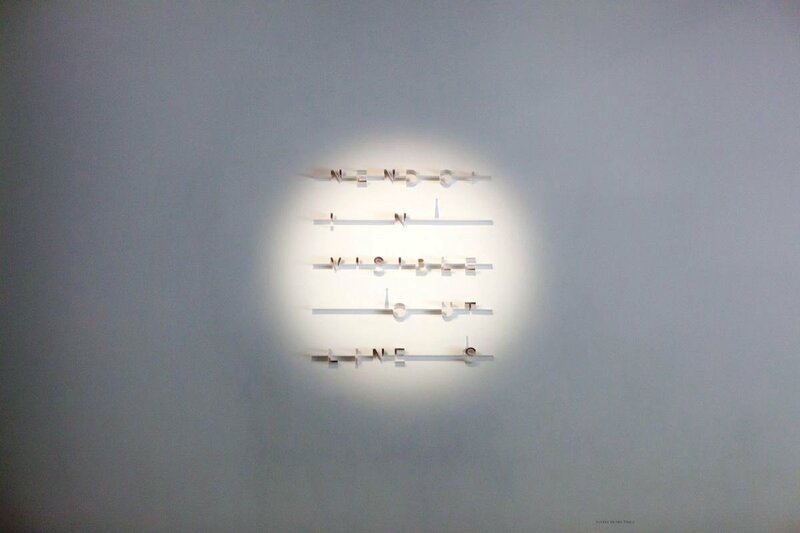 Indeed, what emerges is Sato’s multi-sensorial imagination, guiding visitors into the philosophy of his practice. 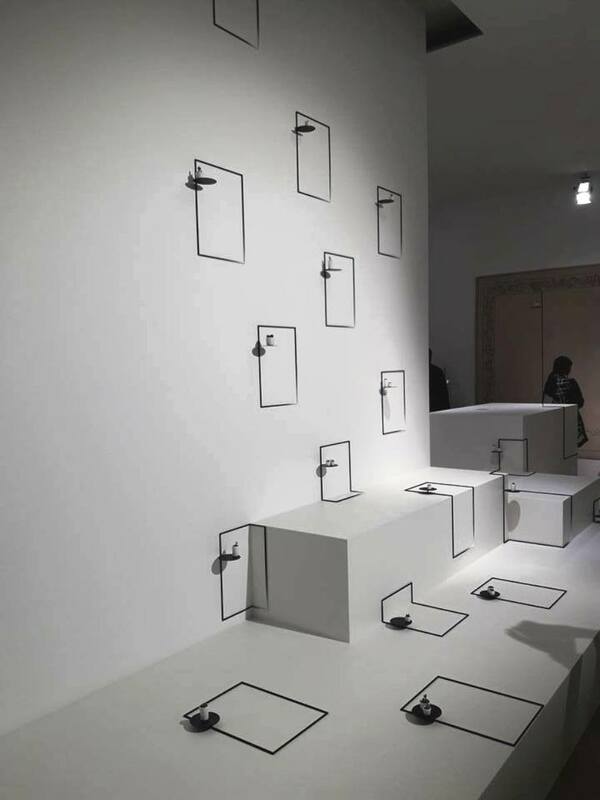 Japanese design studio Nendo aims to reconstitute the everyday by collecting and reshaping them into something that’s easy to understand. 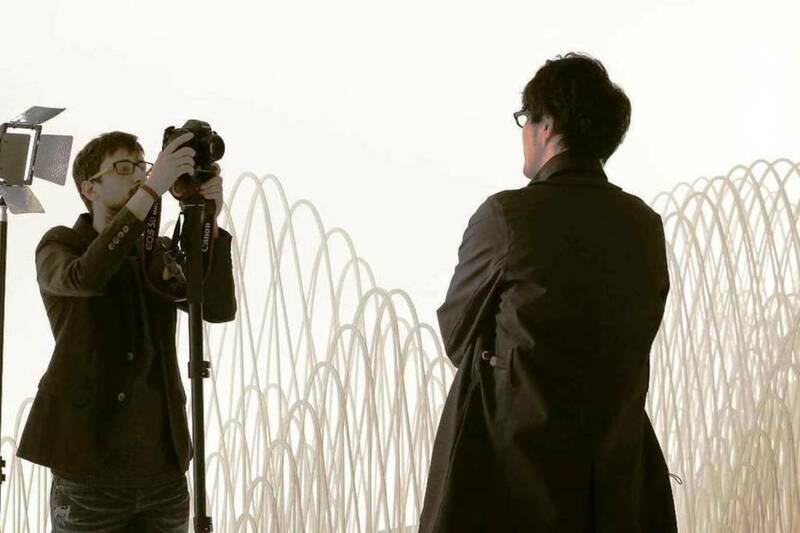 Oki Sato, who heads the firm Nendo, has been named by Fast Company as one of the brightest talents in a new generation of Japanese minimalist designers. 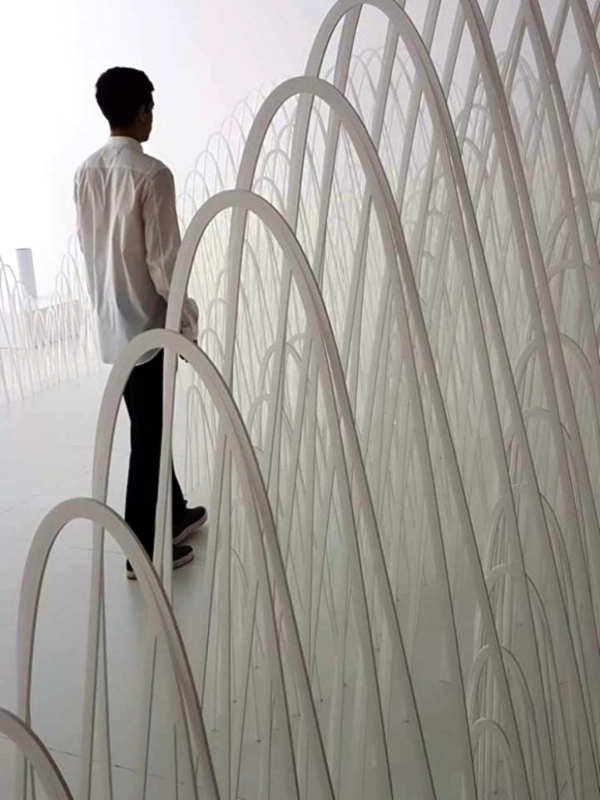 Born in Toronto, Oki graduated with a master’s degree in architecture from Waseda University in Tokyo. 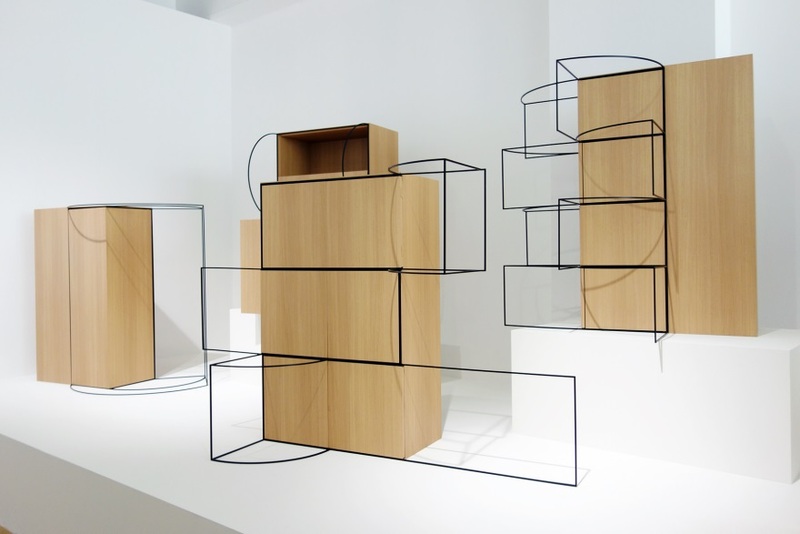 Nendo was formed in 2002, after an inspiring graduation trip to the Milan Design Furniture Fair, and has since become one of the most prolific design firms in the world. 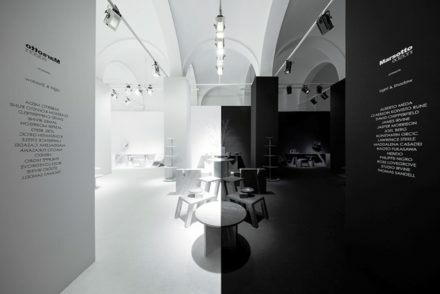 In 2005, Nendo established its Milan office, and in 2012 it established its Singapore office. 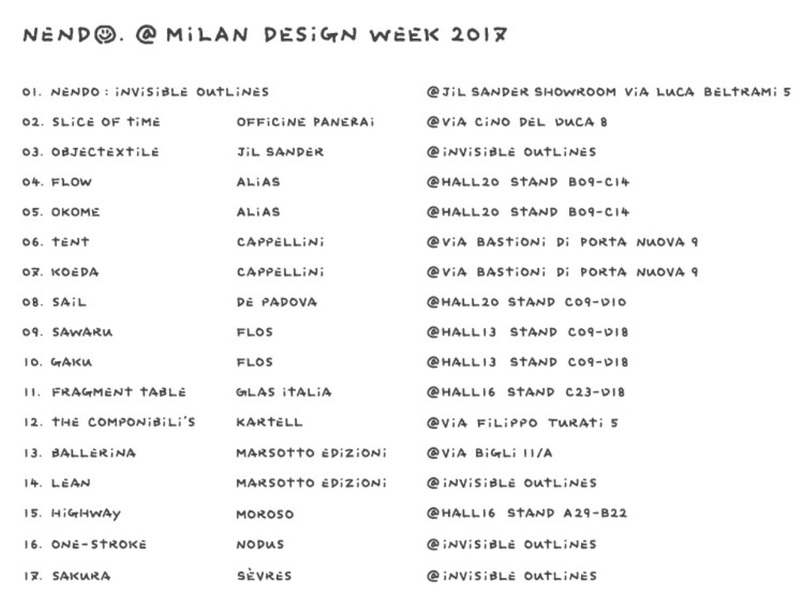 Most recently, Oki earned the title of “Designer of the Year” by both Wallpaper* and Elle Decor magazines. 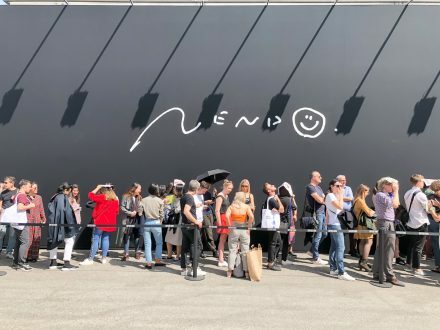 Nendo has also collaborated with a broad range of brands, including Established & Sons, PUMA, Starbucks, Cappellini, Moroso, DePadova, Flos, Maruni and Foscarini.